ASA’s journal, Anesthesiology, offers a CME program linked to its articles. 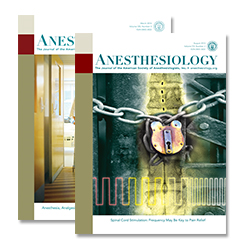 The Anesthesiology CME Editors choose an article out of each month’s journal and write thought-provoking questions (six each month) associated with that article. After completing this activity, the learner should be able to discuss current developments in the science and clinical practice of anesthesiology. 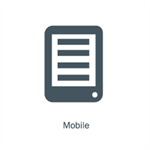 Learning objectives specific to each article are identified within the individual activity. ASA’s journal, Anesthesiology, offers a CME program linked to its articles. The Anesthesiology CME Editors choose an article out of each month’s journal and write thought-provoking questions (six each month) associated with that article. The article, learning objectives, and an explanation of the program appear each month in the printed journal. By subscribing to the program and answering questions online, the user can receive up to 1 AMA PRA Category 1 Credit™ per issue.